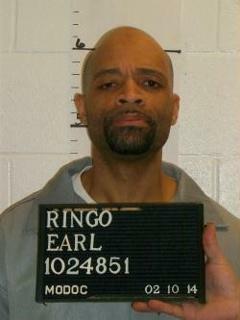 Ringo's lawyers had asked for his execution to be halted, citing new information made public by a St. Louis Public Radio investigation. Last week, our report detailed how Missouri has been using the controversial drug midazolam, in spite of assurances by corrections officials that they would not use the drug. Midazolam, a sedative, was used in several botched executions this year. Federal courts declined to halt the execution, but Missouri was criticized for its actions in an appeals court dissent. "The unusually large doses of midazolam Missouri has intravenously injected into inmates in its last four executions – just minutes prior to the time when the death warrants become effective – is alarming with respect to the constitutional prohibition against executing a prisoner in a state of incompetency," Judge Kermit Bye of the Eighth Circuit wrote. He was joined by two other judges. As we reported last week, experts say the doses Missouri has used would likely put the inmate to a very deep sleep, to the point where breathing could become obstructed. Lawyers representing death row inmates argue it also masks the pain their clients would be feeling. The Department of Corrections says that it did not inject Ringo with midazolam. The state contends that midazolam is not part of its execution process but concedes that it is injected at the discretion of the execution team sometimes minutes before Missouri's lethal drug: pentobarbital. "Missouri has taken great pains to distance itself from the use of midazolam during executions, but without plausibly explaining how administering large doses of the drug just minutes before a death warrant takes effect is meaningfully different from using the controversial drug as part of its actual execution protocol," Bye wrote. The judge went on to say in his dissent that the amounts and timing of the injection amounted to a de facto use of the drug as part of its protocol. A divided U.S. Supreme Court voted against halting the execution, although Justices Ruth Bader Ginsburg, Stephen Breyer, Sonia Sotomayor, and Elena Kagan voted to grant the stay. Read our full investigation into the use of midazolam here. As preparations for a man’s execution begin, his pen pal is hoping she will be able to speak with him for the last time tonight. The Missouri Supreme Court has canceled an execution for one death row inmate and scheduled a different man to be put to death next month.